Development comes as Foreign Secretary Vijay Gokhale is on a 2-day trip to Beijing. China will lift the technical hold on the ban on Jaish-e-Mohammed chief Masood Azhar at the United Nation Security Council’s 1267 al-Qaeda and ISIL Sanctions Committee, diplomatic sources have told ThePrint. The development comes amid Foreign Secretary Vijay Gokhale’s visit to Beijing for diplomatic consultations. Gokhale, who is on a two-day visit there, met his Chinese counterpart Wang Yi Monday, followed by the Chinese vice-foreign minister Kong Xuanyou, the deputy director of the foreign affairs, commission of the Communist Party of China, Liu Jianchao, and executive vice-foreign minister Le Yucheng. Gokhale’s visit comes at a time when India has upped the ante on counter-terrorism against Pakistan following the 14 February Pulwama attacks, which was allegedly carried out by the JeM. China is the only country on the UNSC list of permanent and non-permanent members to oppose a move to blacklist Azhar. Kumar added that India will continue to pursue “all available avenues to ensure that terrorist leaders who are involved in heinous attacks on our citizens are brought to justice”. The issue of banning Azhar remains a topmost priority for India, which, if it goes through, will be seen as a “major achievement” by the Modi government that is facing one of the most fiercely fought elections at the moment, official sources told ThePrint. Diplomatic sources said the US, France and the UK — all members of the Permanent-Five in the Security Council — have been talking to the Chinese leadership to persuade it to lift its objections to lifting the censure, or the so-called “technical hold” on banning Azhar at the 1267 Sanctions Committee. The sources said they were confident that China could agree, both to assure the Modi government that it wanted to abide by the “Wuhan spirit” and also to not be seen to be the only major nation worldwide which refuses to block a terrorist. China had on 13 March placed a ‘technical hold’ at the UNSC, which was seeking to blacklist Azhar by way of a travel ban, assets freeze and arms embargo. Of the 15 permanent and non-permanent members of the UNSC, it was only Beijing that had opposed the move. It was the fourth time that China thwarted such a move. It had done so before in 2009, 2016 and 2017. The decision had invited sharp objections from the US, which along with UK and France, moved an unprecedented new draft resolution on 29 March. While at the UNSC 1267 al-Qaida Sanctions Committee there is a time-frame to act on a resolution — and many can be introduced and defeated over the years — at the council it’s open-ended. This is because the committee functions on the principle of consensus while at the council it is based on the vote. The only difference between the previous attempt to list Azhar as a global terrorist and now is that this is the first such attempt made by the US, and China has never publicly voted against Azhar or explained the rationale for a vote. The US, the UK and France had given China a deadline of 23 April to lift the ban in the 1267 Committee, which Beijing has refused to acknowledge. Chinese Ambassador to India, Luo Zhaohui, had said last month that China understands India’s concern and is “optimistic that the matter will be resolved”. According to Jayadeva Ranade, president, Center for China Analysis and Strategy, “China has come under pressure after the US moved the draft resolution. Thus they are now feeling isolated and have discussed the matter with Pakistan”. Ranade, a former intelligence official, also said it will now be all the more difficult for China to “look the other way”, especially after the serial blasts that took place in Sri Lanka Sunday. A government spokesman, Rajitha Senaratne, revealed that warnings were received in the days before the attacks, which killed 290 people and injured at least 500 more, including from foreign intelligence services. He said one of the warnings referred to National Tawheed Jamath, or NTJ, a little-known local Islamist group that has previously defaced Buddhist statues. But Senaratne, who is also health minister, said he did not believe a local group could have acted alone. "There must be a wider international network behind it," he said. A US official directly familiar with the initial US intelligence assessment said the group responsible for the attacks was likely inspired by ISIS. No group has yet claimed responsibility. One of the blasts tore through St. Sebastian's Church in Negombo, north of Colombo. The security situation remained fluid on Monday. Police found 87 detonators in a private terminal of the main bus station in Sri Lanka's capital, Colombo, and a controlled explosion was carried out on a van near St. Anthony's church, one of three churches targeted in the attack. On Sunday evening, an improvised explosive device was defused near the capital's Bandaranaike International Airport. A dusk-'til-dawn curfew was imposed for the second night in a row. Sri Lankan authorities declared a state of emergency from midnight Monday, and said Tuesday would be a national day of mourning. Intelligence failures would be investigated, Senaratne said. "We saw the warnings and we saw the details given," he told reporters. "We are very, very sorry, as a government we have to say -- we have to apologize to the families and the institutions about this incident." Families would be compensated and churches rebuilt, he said. Police have arrested 24 people in connection with Sunday's attacks, the worst violence the South Asian island has seen since its bloody civil war ended 10 years ago. Six suicide bombers were involved, Sri Lanka military spokesman Sumith Atapattu said. Nine of the 24 suspects have been remanded until May 6 by a Colombo magistrate, state media reported. Most of the dead and injured were Sri Lankan. At least 31 tourists were killed in the attacks, according to a statement released on Monday evening from Sri Lanka's Ministry of Foreign Affairs, which revised down the Sri Lankan tourism minister's previous estimate of 39 people. Of the foreign nationals who died, eight were British, two of whom held dual US-UK nationality; as well as one Bangladeshi, two Chinese cousins, eight Indians, one person from France, one person from Japan, one from the Netherlands, one from Portugal, two Saudi Arabian nationals, one Spaniard and two Turkish nationals. Two Australian-Sri Lankan dual nationals were also killed in the attack. One nationality has yet to be determined, the statement said. The blasts appears to have targeted tourism hotspots, as well as churches, in an effort to gain maximum global attention. The attacks occurred in a period of political instability in Sri Lanka. In October, the Sri Lankan President attempted to depose the prime minister and replace him with a favored successor. That move backfired and Prime Minister Ranil Wickremesinghe was reinstated in December. President Maithripala Sirisena was out of the country at the time of Sunday's attacks. Wickremesinghe said warnings about a potential attack had not been shared with him or other government ministers. Sajith Premadasa, minister of housing construction and cultural affairs, said security officers were guilty of "negligence and incompetence." Speaking to CNN's Christiane Amanpour on Monday, Sri Lankan Minister of Economic Reforms and Public Distribution Harsha de Silva said US and Indian intelligence agencies had warned the Sri Lankan government of imminent attacks. De Silva said the Sri Lankan government "did receive information from overseas that something terrible was to happen" but "the prime minister was unaware" and "was kept in the dark." The minister -- an ally of Wickremesinghe -- argued that "it wasn't a failure of the intelligence apparatus" but "a failure of implementing" an appropriate response. It is unclear whether the details contained in the warning matched the atrocity that eventually took place on Sunday. The first wave of attacks struck during packed Easter Sunday services between 8:45 a.m. and 9:30 a.m. 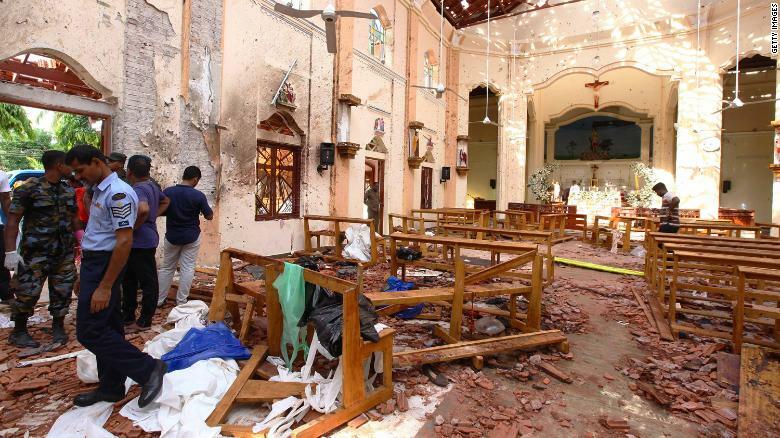 Suicide bombers struck three churches around the country: St. Antony's, a popular shrine in the capital, Colombo; St. Sebastian's in Negombo, north of the capital, where 102 people died; and the Zion Church, in the eastern port city of Batticaloa. About the same time, more blasts ripped through three luxury hotels in Colombo: The Shangri-La, the Cinnamon Grand and the Kingsbury, all popular with foreign tourists and the country's business community. At the Shangri-La, the bomb was detonated just after 9 a.m at the Table One cafe as holidaymakers and guests were eating breakfast. Later in the day, a blast rocked a hotel in front of the Dehiwala Zoo in Dehiwala-Mount Lavinia. The final blast struck a private house in Mahawila Gardens, in Dematagoda, during a raid in connection with the earlier attacks, officials said. Three police officers were killed. 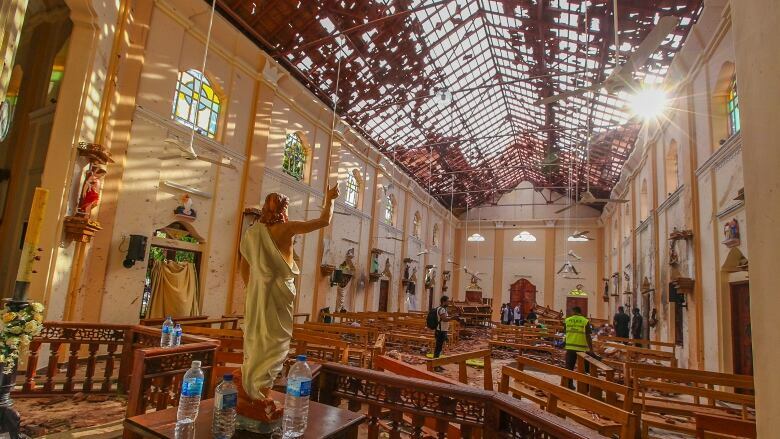 It is not clear why Christians were targeted: Christianity is a minority religion in Sri Lanka, accounting for 7.4% of the total population of 21.4 million. According to census data, 70.2% of Sri Lankans identify as Buddhist, 12% Hindu and 9.7% Muslim. In recent years, Sri Lanka has boomed as a holiday destination, welcoming 2.2 million visitors in 2017 compared to just over 1 million in 2012, providing tourists with an affordable alternative to tropical destinations such as the Maldives. On Monday morning, however, the city's beachfront hotel district, where several of the bombs struck, was heavily guarded by soldiers carrying AK-47s and bomb-sniffing dogs were at closed hotel gates where guests were being checked in. Premadasa, the Sri Lankann health minister, called Sunday's attacks a "brand-new type of terrorism" that had rocked the nation. "We have not had any separatist movements in the past 10 years and this came as a shock to all of us," he said. The civil war between the separatist Tamil Tigers and the Sri Lankan government ended in 2009, after claiming between 70,000 and 80,000 lives. Handling that conflict, Premadasa said, had prepared the government to deal with terrorism. "During the 30-year terrorist war there were indiscriminate attacks on all institutions, they (the Tamil Tigers) did not spare any in their path towards a separatist state, but we were victorious in defeating terrorism," he added. The targets of the attacks -- churches and hotels catering to foreigners -- have figured in previous bombings in Asia and beyond in recent years. In January 2019, ISIS claimed responsibility for an attack that killed at least 20 in a church in the Philippines. The attack also took place on a Sunday, when worshippers were gathered for mass. In May 2018, ISIS claimed responsibility for attacks at three churches in Indonesia, which killed at least 12 people and injured dozens more. On Palm Sunday in 2017, ISIS killed at least 49 people gathered for Mass at two churches in Egypt. After the collapse of the ISIS caliphate in Iraq and Syria, as many as 5,600 foreign fighters have returned to their home countries since October 2017. From India's Kashmir issue to Myanmar's persecution of Muslim Rohingyas, South Asia remains a volatile sub-continent teetering on a very dangerous precipice. In Sri Lanka, memories of war and terrorism are very much alive. The decades-long civil war between the Sinhala-dominated government in Colombo and the Liberation Tigers of Tamil Eelam was brutal by any standards, and it ended a decade ago with a climactic battle near the Indian Ocean that took thousands of civilian lives. But Sri Lanka, beautiful and multicultural, has never had just the one fault line. On Easter morning, when hundreds of Christians and hotel guests were killed by suicide bombers there, we were tragically reminded that this is not a country at peace with itself. In that, it’s not alone in South Asia. The entire subcontinent that the British once ruled from Delhi has seen, over the past decade, religious and ethnic identities harden and divisions deepen. Pakistan and Afghanistan continue to be hotbeds of extremism and terrorism, with religious minorities most vulnerable to violence. In Buddhist-majority Myanmar, democratization has proved a mixed blessing, as the new government has overseen the persecution and expulsion of its Muslim Rohingya minority. Violence in Kashmir has flared up again after a decade of relative quiet, and the transformation there of a secular-nationalist separatist movement into one dominated by radical Islamist impulses is complete. The Indian northeast is on edge as the government in New Delhi builds up a giant register of citizens in order to isolate and expel migrants from Bangladesh that officials claim number in the millions. And this Indian election, more than any other since independence, is being fought on the basis of religion, security and identity. One thing is clear: The naive presumption that economic growth and prosperity, or even increasing education, would help minimize these cleavages and prevent them exploding into violence stands completely discredited. Sri Lanka itself is perhaps the most advanced part of the Indian subcontinent when measured in terms of human development indicators. Even within India, it isn’t just the poor and left-behind north that is the problem. Indian Prime Minister Narendra Modi first rose to national prominence because of his unapologetic response to religious riots in his home state of Gujarat in 2002 — and Gujarat, then as now, was both one of the richest and one of the most divided parts of India. Kerala, the most religiously integrated and the most advanced state in India, is also more divided than ever — and there, as in Sri Lanka, as in Kashmir, as in Pakistan, it is inflows of Gulf money and imported Wahhabi fanaticism that must bear a large part of the blame. The globalization of Muslim identity has come at the cost of local cohesions and compromises — and no state in the subcontinent has done enough to reverse this dynamic and keep Gulf money out. Everyone in the subcontinent blames someone else for growing religious and ethnic terrorism. Afghanistan blames Pakistan; Pakistan blames India; India blames, well, the British for dividing the subcontinent in the first place. But the truth is that all of our postcolonial states have failed in one crucial respect. They never built up the sort of modern, inclusive, all-embracing national identity that is the only defense against violence in a region as integrated and as burdened with history as this one. Sri Lanka is a depressing illustration of how dangerous it is to allow “ascriptive” identity, such as belonging to a religious or ethnic group, to determine the attitude of a state. The Tamil Tigers claimed to be secular nationalists, but over the course of the long war they attacked many Buddhist religious sites and expelled and killed thousands of Muslims. Meanwhile, mainstream Sri Lankan politics became increasingly focused on the “protection” and militarization of Buddhist and Sinhala identity, and there has unsurprisingly been a recent flare-up in anti-Muslim riots. You can’t move on from a past like Sri Lanka’s without proper reconciliation and an attempt to create a new, postwar identity. The LTTE may be dead and unmourned, but its legacy is its methods and the fear they evoke. Terrorists affiliated with the LTTE pioneered suicide bombing. Now, other Sri Lankans have tragically taken it forward. The tensions of the past were controllable, perhaps. Even a civil war as brutal as Sri Lanka’s allowed for tourism, for pockets of growth and dynamism around Colombo, for progress on human development. The LTTE was beaten on the battlefield. PPP chairperson Bilawal Bhutto Zardari severely criticised on Monday the PTI government and claimed that the sitting Interior Minister Ijaz Shah was a ‘facilitator of terrorists’. Shah was a close aide of former military dictator Pervez Musharraf and served as director-general of the Intelligence Bureau from 2004 to 2008. Former prime minister Benazir Bhutto had named Shah as one of the few people who should be investigated if she were assassinated. We won’t sit quite due to pressure, Bilawal said in the National Assembly session. He said they faced dictators like Ziaul Haq and Musharraf in the past and they are not afraid of this “puppet government”. The PPP chairperson alleged that the federal ministers had contacts with proscribed organizations and that their videos and pictures are available as proof of it. 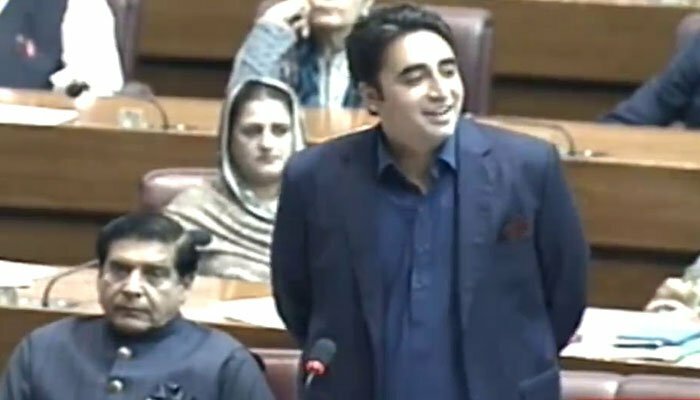 Bilawal took a dig at Prime Minister Imran Khan during his speech and said he can’t hide his incompetence by scapegoating the ministers. bomb blasts at churches and luxury hotels in the country, police sources said today. 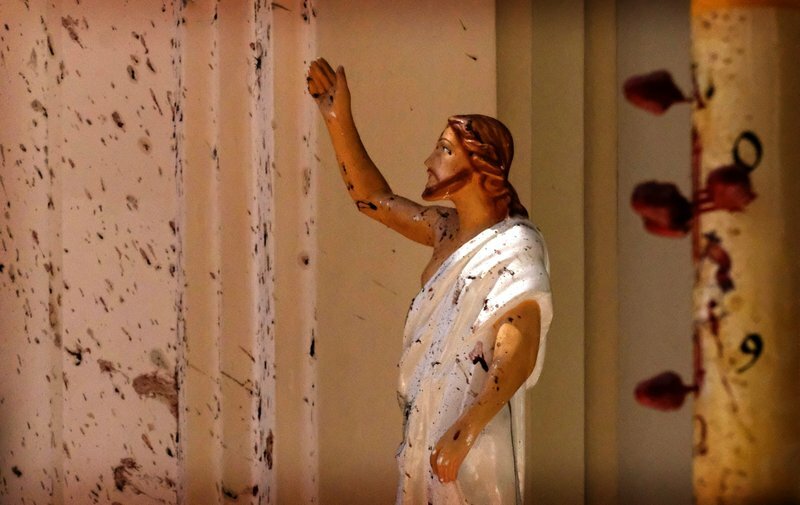 A series of bomb blasts ripped through three churches in Colombo, Negombo and Batticaloa and three luxury hotels in Colombo early Sunday morning. Bombs exploded at the St. Anthony's Church in Kochchikade, St. Sebastian's Church in Katuwapitiya, Katana, and Zion Church in Batticaloa while hotels Kingsbury, Shangri-La and Cinnamon Grands came under attack. According to police sources, 27 foreign nationals are among the dead. According to Hospital sources British, Dutch and American citizens had been killed, while British and Japanese nationals are among the injured. A seventh bomb explosion has been reported at a hotel near the National zoo in Dehiwala this afternoon with police reporting two deaths. An eighth explosion was reported in a house in Dematagoda. Reports say it was suicide bomber and thatthree people, believed to be security personnel, were killed during a police raid. The government has imposed a 12-hour curfew from 6 pm Sunday. Schools and universities have been closed and security has been tightened with deployment of Army and Navy troops. Pakistan's Foreign Minister Shah Mahmood Qureshi told reporters on Saturday that "terrorist outfits" that carried out a deadly attack against armed forces on Thursday had crossed the border from neighboring Iran. The gunmen reportedly entered the bus, demanded to see everyone's IDs, and then commenced their attack on specific passengers. Those killed included 10 serving the navy, three working with the air force and one with the coastguard. 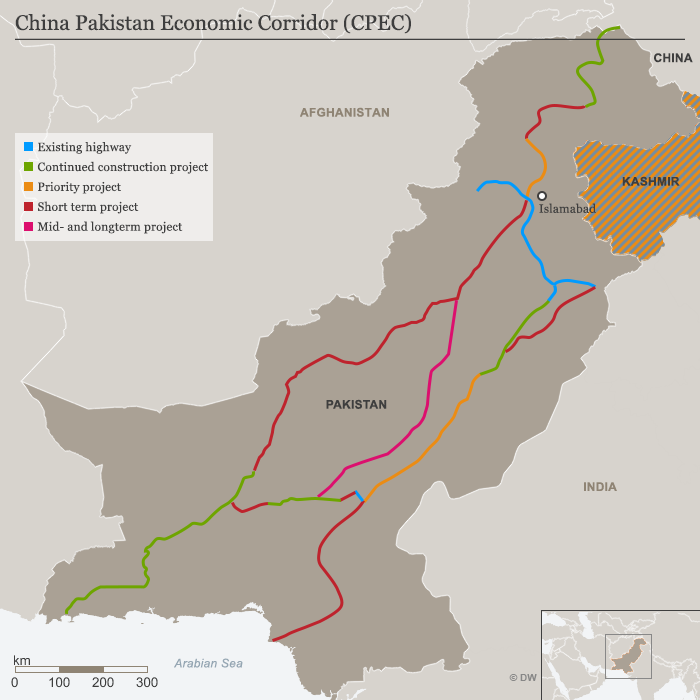 The killings took place when they were traveling in buses on the Makran coastal highway between the southern city of Karachi and Gwadar in the southwest, a key port in China's multi-billion dollar China-Pakistan Economic Corridor (CPEC) project. "We have shared this actionable evidence with Iran after due authentication, and have identified [the] location of the camps," Qureshi said, adding that the attackers' training and logistic camps were based "inside Iranian areas bordering Pakistan." Pakistan's foreign ministry urged Tehran to act against the attackers from "a newly founded Raji Aajoi Sangar" separatist group. The ministry said the "killing of 14 innocent Pakistanis by terrorist groups based in Iran is a very serious incident that Pakistan protests strongly." The announcement comes a day before Prime Minister Imran Khan starts his two-day visit to Tehran. Foreign Minister Qureshi said that PM Khan would take up the matter with Iranian authorities. Pakistan's Baluch separatists claimed responsibility for the Thursday attack. The insurgents seek Baluchistan's "independence" from Islamabad and are known to target the security services and people from Punjab province, as they tend to make up the bulk of soldiers stationed in their province. Baluchistan remains Pakistan's poorest and least populous province despite a number of development projects Islamabad initiated there in the past. Rebel groups have waged a separatist insurgency in the province for decades, complaining that the central government in Islamabad and the richer Punjab province unfairly exploit their resources. Islamabad reacted to the insurgency by launching a military operation in the province in 2005. Separatist groups active in Pakistan's and Iran's Baluchistan provinces, which share a long border, seek independence from both countries. Baluchistan is also host to a number of projects under the China-Pakistan Economic Corridor project. In an 2015 interview with DW, Brahamdagh Bugti, leader of the Baloch Republican Party living in exile in Switzerland, and grandson of slain nationalist leader Nawab Akbar Bugti, said that Chinese economic projects in Baluchistan were aimed at "colonizing" the province, and must be resisted. Pakistan has generally tried to maintain close ties with both Saudi Arabia and Iran – bitter regional foes – but has drifted away from Tehran in the past few years. Ties between the two neighbors have been tense for many years. The two countries have border conflicts, and Tehran is also not very pleased with Islamabad's alleged support to various Sunni militant groups, which have been involved in launching attacks in Iran's eastern areas, and massacring Shiite citizens inside Pakistan. Pakistan is a key part of a Saudi Arabia-led military alliance, which is at war with Iran-backed Houthi rebels in Yemen. Security analysts say that Pakistan's support to Saudi Arabia has increased the Sunni-Shiite rift in the South Asian country. They also say that Sunni militant groups feel further emboldened by the fact that Raheel Sharif, Pakistan's ex-army chief, now heads the Saudi-led alliance. The sectarian strife in Pakistan has been ongoing for some time now, with militant Islamist groups unleashing terror on the minority Shiite groups in many parts of the country. Most of these outfits, including the Taliban, take inspiration from the hard-line Saudi-Wahabi Islamic ideology. On April 12, militants killed at least 16 people in a powerful blast targeting the Shiite Hazara ethnic minority Baluchistan's capital city Quetta. Experts say that ties between Iran and Pakistan are likely to deteriorate further with both countries blaming each other for not acting against militants that perpetrate attacks across the border. Merely eight months into its term, a few members of Imran Khan’s party, PTI, and some ruling establishment-related social media accounts have suddenly started a campaign for “Islamic Presidential System” in Pakistan. This is a curious turn of events for the supporters of Prime Minister Imran Khan, who was feted with high praise as the embodiment of Naya Pakistan just a few months ago. Now, they are even claiming that Imran Khan is not succeeding and the corrupt politicians remain at large. They say that the present system of parliamentary democracy is fundamentally flawed. They cite the examples of recent pre-arrest bails granted to former Punjab chief minister Shehbaz Sharif and his son Hamza Shehbaz by the Lahore High Court on 8 April, a day before the two were indicted by an accountability court in a corruption case. As if courts of law do not exist under a presidential system. Or maybe in the utopian system they are putting forth, the President has the absolute power to imprison whomsoever he imagines guilty of corruption. They point towards the US, which gained strength under a presidential system while powers of the Great Britain, which shrunk from an empire to a small country, waned under the parliamentary form of government. 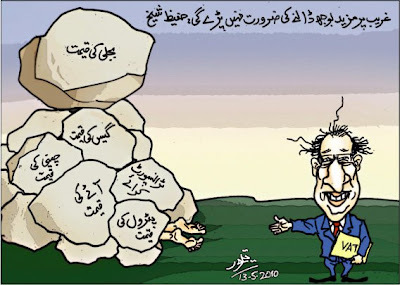 The presidential, or rather the so-called Islamic Presidential System (yet undefined), is being portrayed as one that would allow the Supreme Leader to be all in all, unencumbered by sold-out members of parliament and purchasable senators, who keep a Prime Minister blackmailed with changing loyalties (which is actually a factually incorrect assertion – Pakistani constitution now forbids floor crossing, and a member of the House has to give up his seat and contest election again to join another party). Two of these are the PTI loyalist tweeps Hanzala Tayyab and Farhan Virk who are notorious for trending hashtags for the military/intelligence agencies. And their hashtags even entered mainstream electronic media debates and the clueless governor of Khyber Pakhtunkhwa, Shah Farman, endorsed a public referendum on the subject, for which there is no room in the Constitution of Pakistan. Information Minister Fawad Chaudhry was even forced to dismiss the debate. A star genius, who goes by the title of ‘economist’, and whose solution to every economic problem of Pakistan was Imran Khan bringing back $200m black money stashed abroad, is even tweeting a slide of made-up numbers to demonstrate how Pakistan’s GDP growth was always far superior under Presidents Ayub Khan, Muhammad Zia-ul-Haq, and Pervez Musharraf. Farrukh Saleem is the one who used to keep attacking the previous government with corruption allegations and advices Imran Khan’s Pakistan Tehreek-e-Insaf (PTI) and the ruling establishment now. As if for each one of Generals Zia and Ayub’s 11-year stints, the economy grew at exactly 7 per cent. Notwithstanding the fact that the growth rates shown in the chart are fictitious, the gent ‘economist’ ignores the fact that Ayub benefited from entering the SEATO-CENTO alliance and the aid it consequently brought, whereas the other two benefited from war economies with aid dollars flowing in from the US. Fascinatingly, his chart stops at 2012, and doesn’t bother to show the five years of Nawaz Sharif government’s period of growth under the same parliamentary system that he was putting down through incorrect figures. These actors created widespread confusion in Pakistan with their posts because as they have represented both the PTI and the establishment in the past. But their new campaign for presidential government have not been endorsed either by Imran Khan or any other important member of his party or cabinet. They haven’t even used the current parliamentary system as an excuse for their failures. More significantly, if by some magic, such a presidential system is imposed on Pakistan, it will not be designed to make Imran Khan the Khalifa President with absolute powers. Instead Gen (retd) Raheel Sharif’s name is being bandied about. Hence it has rightly provoked a reaction from the government’s spokesperson Fawad Chaudhry. Senior political analysts see this as institutional memory and the undying wish, of the establishment to rule Pakistan as one unit with an iron fist. However, not only has this dream met with stiff resistance from mainstream political parties and the country’s intelligentsia, it is unlikely to find favour with the PTI as well. PMLN member of the National Assembly Shaista Pervaiz said, “After attempting to paint a donkey as a zebra by painting white lines on it, shenanigans of presidential system have been started”. Senior journalist Murtaza Solangi’s reaction was, “you might as well just impose martial law”. Bilawal Bhutto Zardari, leader of the People’s party, has repeatedly rejected the notion outright, saying it’s a formula for further breakup of the country. In final analysis, it appears that this particular adventure neither has any constitutional way forward, nor a majority in Parliament to support it. 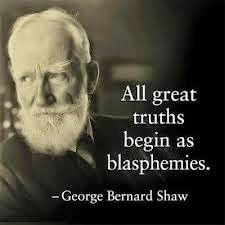 Nor has it found any supporters even in the establishment’s own puppet setup in power, except a few trolls who will create and trend any fake trend they are ordered to.